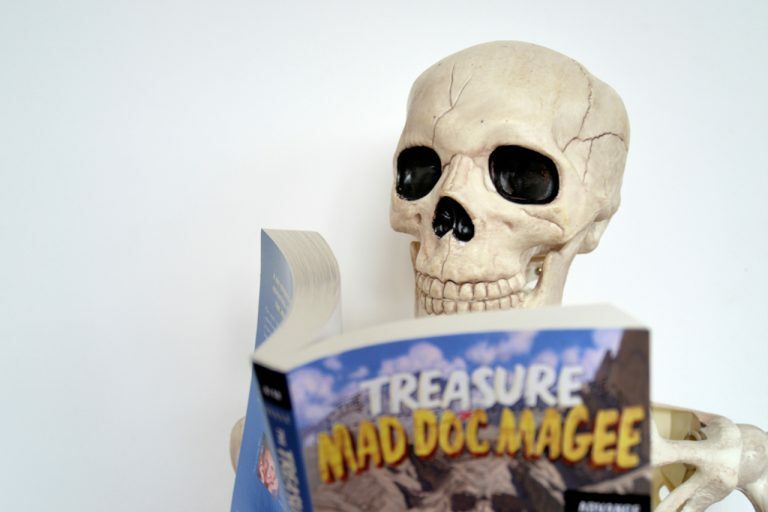 It may be a rollicking tall tale, but The Treasure of Mad Doc Magee has deep roots in New Zealand history. “At a place where a kind of road crossed on a shallow bar, I shovelled away about two and a half feet of gravel, arrived at a beautiful soft slate and saw the gold shining like the stars in Orion on a dark frosty night.” History of the Early Gold Discoveries in Otago by Vincent Pyke. Soon enough, the area was flooded with young men searching for quick fortunes. 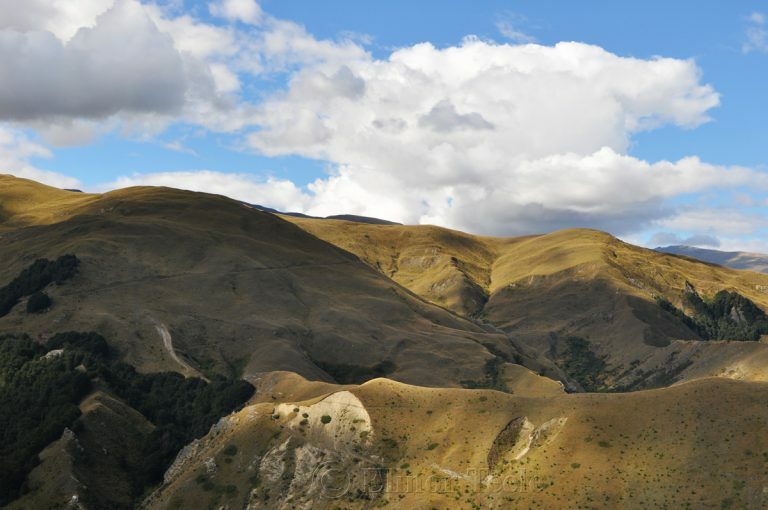 At the height of the Otago Gold Rush, 18,000 miners were swarming over the mountains & rivers of Central Otago. Some of them were veterans of the California Rush (the original “forty-niners”). But there were also Māori miners, European settlers, and Australians looking to make good. MAGEE FUN FACT: For stories on Māori participation in the Rush, including the tale of Māori Jack, see Finding “Te Wherro” in Ōtākou: Māori and the Early Days of the Otago Gold Rush by Lloyd Carpenter. There was Soapy Jones, who bragged he could smell gold through the ground. Gamblers would often observe him snuffling along Main Street with his nose in a newspaper cone. “The better to focus the scent,” he’d say. There was Kip-Two Fister, who laced his beer with flakes from the Arrow. Drinking your fortune may be a good spectacle sport, but it didn’t do much for Kip’s constitution. It’s no wonder his friends took an interest in his long drop. The smart ones arrived early, mined quickly, and moved on. The unlucky ones died from disease and disaster. The rest just tried to strike it rich. MAGEE FUN FACT: Jenny’s fiery temper is one reason why she bears the last name of “Burns.” Another reason is A River Runs Through It. The maiden name of Norman Maclean’s feisty wife is Jessie Burns. But life in the gold fields wasn’t easy. If you arrived after the first wave of men, you might spend months in a fruitless quest. All the way down the river, Jenny spotted dozens of worn-out wooden contraptions resembling hollow shoes. 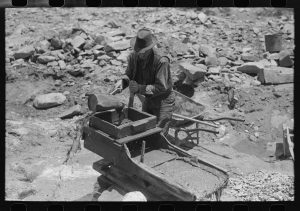 These were the rocker boxes, where a sieve at the top of the heel and a series of ridges running toward the toe allowed a miner to separate the gold flakes from dirt. Later in the century, Otago miners used steam-powered mechanical dredges and other large-scale equipment to sluice the gravel beds (e.g. Clutha River). In The Man from Snowy River (1982), you’ll see that Spur has made his Australian hut quite fancy. He’s been gold mining for years, so there’s been time for interior decoration. 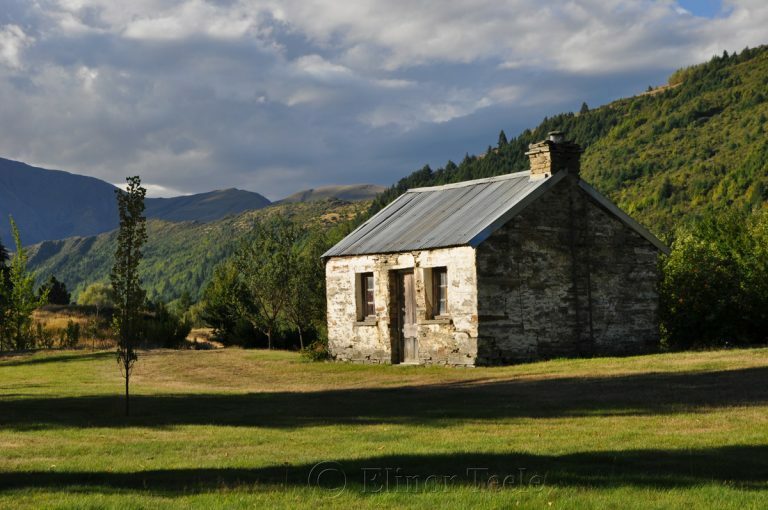 MAGEE FUN FACT: Doc Magee’s dwelling was inspired by Sam Summers Hut on the Mount Crichton Loop Track. (However, Sam’s hut was built in the 1930s.) Pandora’s hatred of rats is a tip of the hat to Indiana Jones and the Last Crusade. In their down-time, men were anxious to find amusement. Many liked to drink & gamble in saloons. If you were smart, like King Louis, you supplied the miners with refreshments & accommodation. You could make plenty of money off men who were flush with riches and you didn’t have to stand in a glacial river to do it. MAGEE FUN FACT: Miners gave English names to many landscape features in Otago. 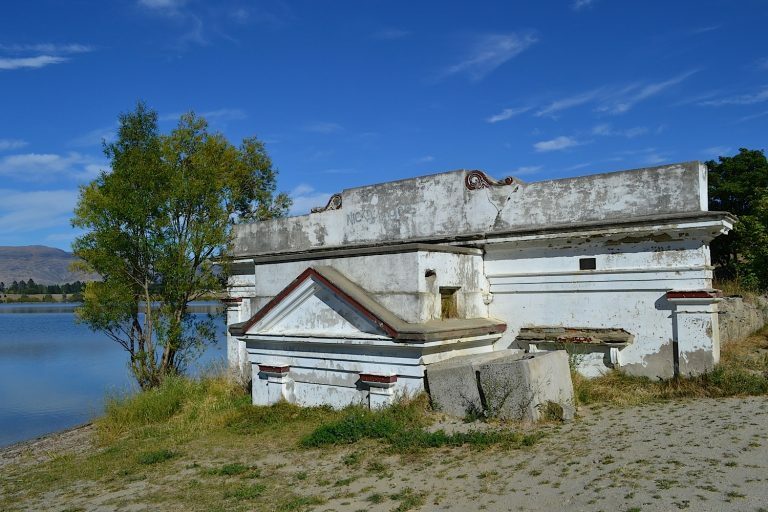 The character of Gentle Annie is named after a real-life creek that runs into the Kawarau River. Along with gamblers, theater companies often followed the strikes. During the Otago Gold Rush, one of the major impresarios was Clarance Holt. Born in England, this actor/acrobat/manager roamed the British colonies during the 1850s and 1860s, performing with his touring company in the goldfields. In the early 1860s, he established the Theatre Royal (on Princes Street) in Dunedin and wowed the crowd with Shakespeare. 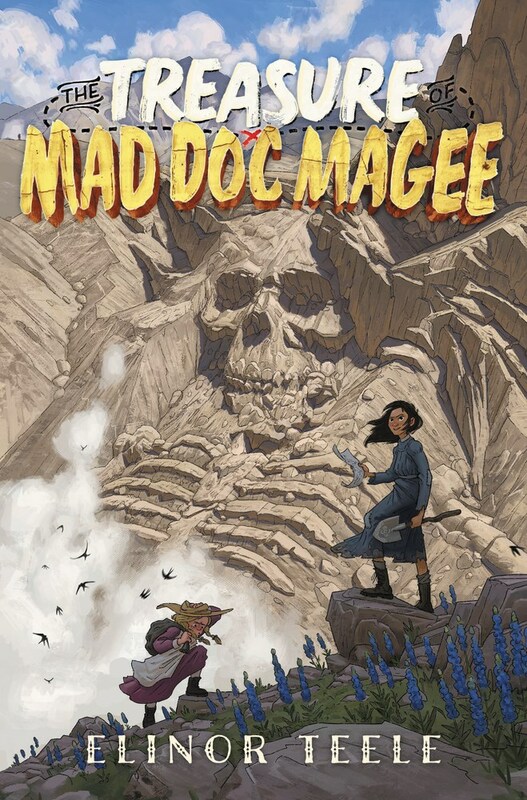 MAGEE FUN FACT: Though Mr. Grimsby starts the story as a two-dimensional character from Victorian melodrama, kid readers may notice he acquires three dimensions along the way. A number of folks headed to the West Coast, where another Rush was just getting started around Hokitika. (This is the wild setting of Eleanor Catton’s novel, The Luminaries.) Other men settled down in the area and became farmers, shopkeepers, and respectable citizens.